GERD stands for gastroesophageal reflux disease. You may also hear it called “acid indigestion” or “heartburn.” It happens when stomach contents flow back up (reflux) into the esophagus (the tube that connects the mouth to the stomach). GERD can irritate the esophagus. It can cause problems with swallowing or breathing. In severe cases, GERD can cause recurrent pneumonia or other serious problems. So it’s best for any child with GERD to be evaluated by a doctor. Raise the head of the child’s bed using sturdy blocks or books. Heartburn (burning sensation in the chest, neck, or throat). Feeling of food or liquid coming up in the back of the mouth. Gagging, choking, or problems swallowing. Sore throat in the morning. Persistent cough, especially at night or on waking. Barium swallow: Barium is a thick, chalky liquid. When swallowed, it makes the esophagus and stomach show up on x-rays. A milk scan: This is similar to a barium swallow. This test allows a doctor to see if reflux is entering a child’s lungs. Endoscopy: This test uses a thin, flexible tube. The child is given a medication to make him or her fall asleep. Then a tube with a light and a tiny video camera on it is put down the child’s throat. This lets the doctor look at the child’s esophagus and stomach. 24-hour pH-probe study: The doctor puts a very thin tube into the child’s esophagus. This tube is connected to a monitor that records acid levels and reflux activity for a day or longer. Treatment depends on the child’s age and the severity of the symptoms. In many cases, the changes outlined below in “Helping Your Child Feel Better” will be enough to relieve symptoms. 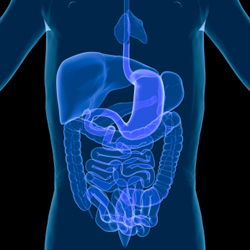 In certain cases, medications may be prescribed to help reduce the amount of acid in the stomach. Rarely, surgery may be recommended for severe symptoms that don’t respond to treatment. Have your child eat smaller but more frequent meals. Make sure your child eats no sooner than 3 hours before going to bed. Have the child avoid lying down or reclining for 2 hours after meals. Avoid food and drink that can make GERD worse. These include chocolate, peppermint, carbonated drinks, and drinks containing caffeine. Also avoid acidic foods (these include vinegar, citrus fruits and juices, and tomato products), high-fat foods (including french fries, fast food, and pizza), and spicy foods. Elevate the head of the child’s bed 5 inches. This can help prevent reflux at night. Make sure your child’s clothing is loose and comfortable, especially around the waist. Help your child lose weight if he or she is overweight. Keep tobacco smoke away from the child.